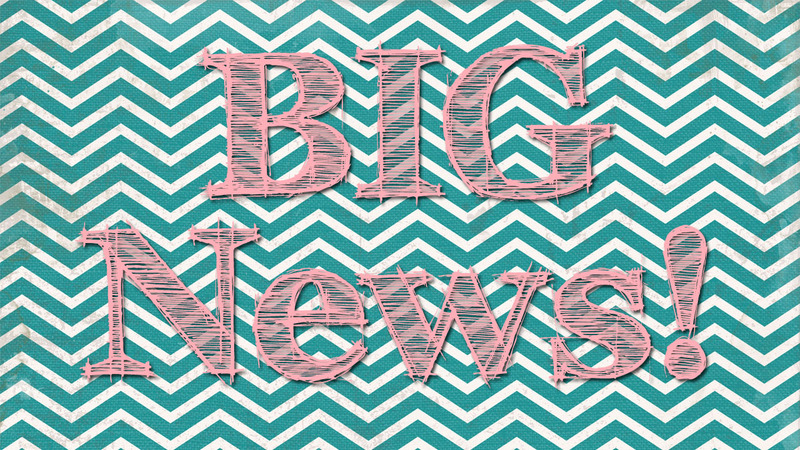 My Own Road: BIG News!! 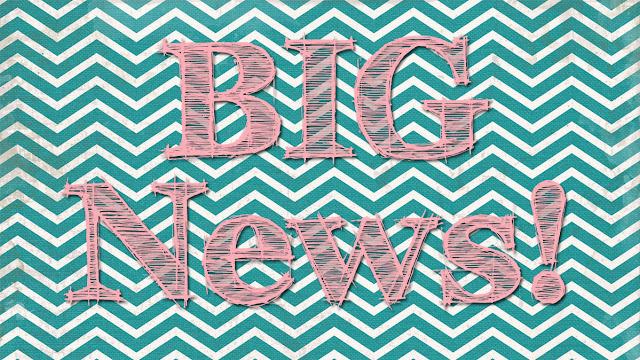 I've been hinting around about my big news, and I can finally let the cat out of the bag! 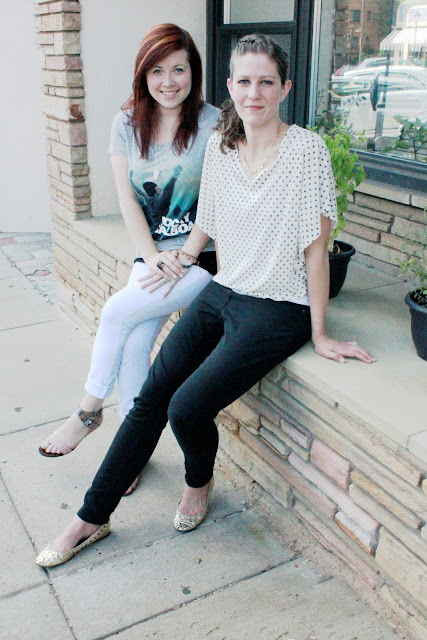 You may remember how I've talked about my sister-in-law, Shannon, here on my blog. She's the one who taught me how to sew, and she's also personally responsible for half of my wardrobe (some of the clothes she gave me I posted about here and here). She has amazing fashion sense and mad skills in home decoration, which I am sadly lacking in. On top of all that, I was also lucky enough to have her guest post back in June of 2011 for my Button Down Rehab series when she shared her tutorial for how to make a Pillow Monster. I'm sure you've noticed that things have been slow lately, but it's because Shannon and I have been working our butts off for the past few months on new and unique content. So while I've been continuing to write here on My Own Road, I've also been working overtime on a ton of new projects and recipes that I can't wait to share with you guys! Thing I'm most excited about is that together, Shannon and I will be able to offer you SO much more content since we'll be blogging together. And it won't be just sewing and kids stuff, our new blog will be focused on sharing everything we love from parties to fashion, home decoration, and DIY's. What can you expect on the new blog? is an even better version of what this blog has become. Shannon's fashion sense, home decor tips and design along with my craft background and kid-centered projects means that we're going to be able to offer a lot more diversity and projects to our readers. You can expect to see a lot more DIY projects each week, along with plenty of recipes, kid stuff, crafts, and tips for how to make the most of your wardrobe. What does that mean for My Own Road? It was an extremely hard decision to make, but I ultimately decided to stop writing on My Own Road so that I can focus solely on the new blog. I have had SUCH a great time blogging on My Own Road for the past 2 1/2 years and learned so much in the process so this decision feels a bit like giving up a child, but it's time for me to start a new chapter in my life. The primary reason why I decided to start a new blog with Shannon is because I wanted to have more time to spend with my family instead of feeling the constant pressure to blog and do projects all the time. I love to create, but coupled with 2 kids and a full-time job, it started to become more of a chore than a creative outlet. Around March, I began to really feel burned out and almost gave up this blog altogether. Shannon and I talked about it, and starting a new blog together became the perfect way for me to continue expressing myself creatively while still having plenty of time for my family because ultimately, they are what really matters. While I'll no longer be posting new content on My Own Road, it will stay open infinitely so that you can still enjoy my past projects and access my tutorials and freebies. For awhile, I'll also be posting some updates and pictures here of what we're sharing over at the new blog in case you haven't yet made the transition yet to follow us there. I REALLY hope you'll all stick with me when I make the official transition to the new blog. I've loved getting to know each and every one of you, and Shannon and I look forward to being able to offer even bigger and better (and more!) things with you on our new blog. Congrats on the big announcement and creating something new together! Looking forward to it! VERY COOL! Can't wait to see the new blog! Congratulations!! Can't wait to see :). Congratulations! Sounds wonderful! I can't wait to see what you've got cooking on the new blog.